Early on October 10, a large group of Neuchâtel students and staff headed off on the first school trip since orientation week, to Krakow and Auschwitz in Poland. I had applied to act as a supervisor but, unfortunately, I was not assigned to this trip. (I went on the next one, which you will read about in my next blog post. )When I learned the news in early September, I was disappointed for about half a day. 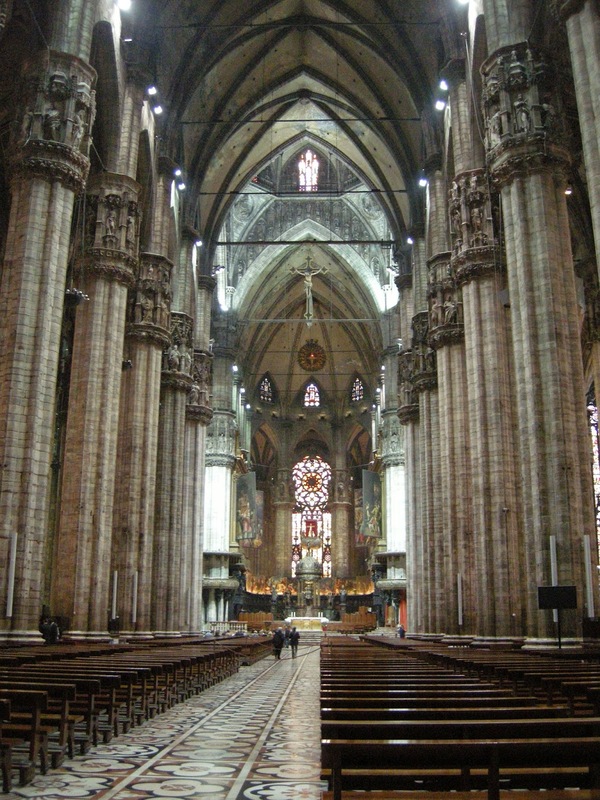 Then Bob and I booked a hotel room that weekend in Milan, Italy, instead. 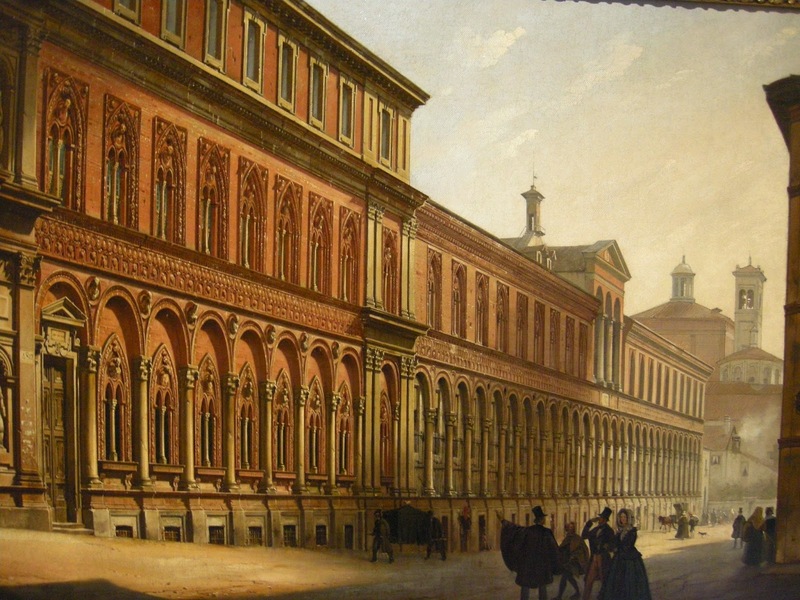 A painting depicting Milan. We saw it and many others in the Galleria d'Italia. As the date approached, we became concerned about the weather forecast; rain was expected every day. In fact, we considered cancelling the trip at the eleventh hour, but we would have had to absorb the cost of one night at our hotel, so we decided to go ahead anyway. Train travel to Milan from Neuchâtel takes about four hours. Since I was able to get away at about noon, that meant we could be in Italy by late afternoon. Clearly, Milan is a popular destination; the train was packed with people and luggage, but that did not matter - we were on our way to Italy! It had been decades since we had crossed its borders. 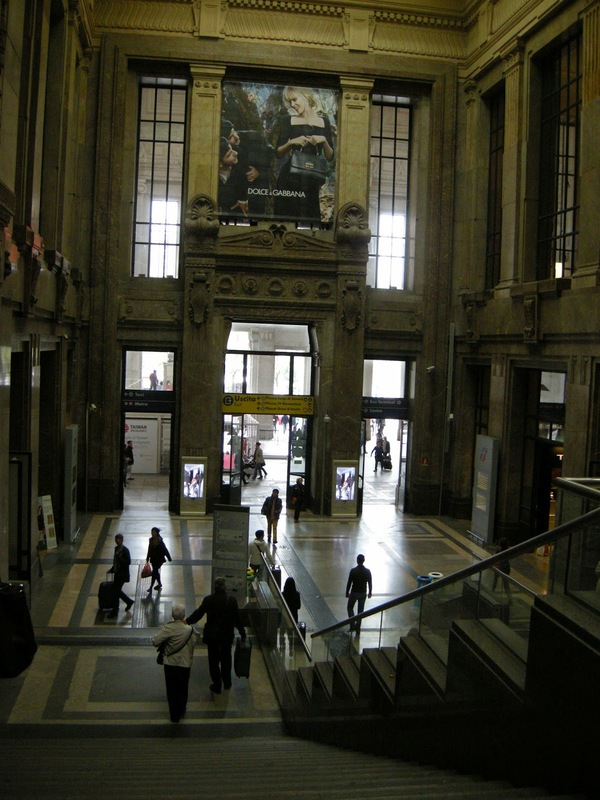 As soon as we arrived in Milan, we knew we were in an important place; the train station, the second largest in Europe, is very grand. I was so taken by its beauty that, as soon as I could, I pulled out my camera to take photos. Unfortunately, I dropped it on the marble floor and may have broken it irreparably. I will find out the damage when my husband returns to Toronto where I purchased it last April. That was not a good way to start our weekend escape. Fortunately for you blog fans, Bob still had his camera and I had my iPhone, if needed. The photos will keep coming. 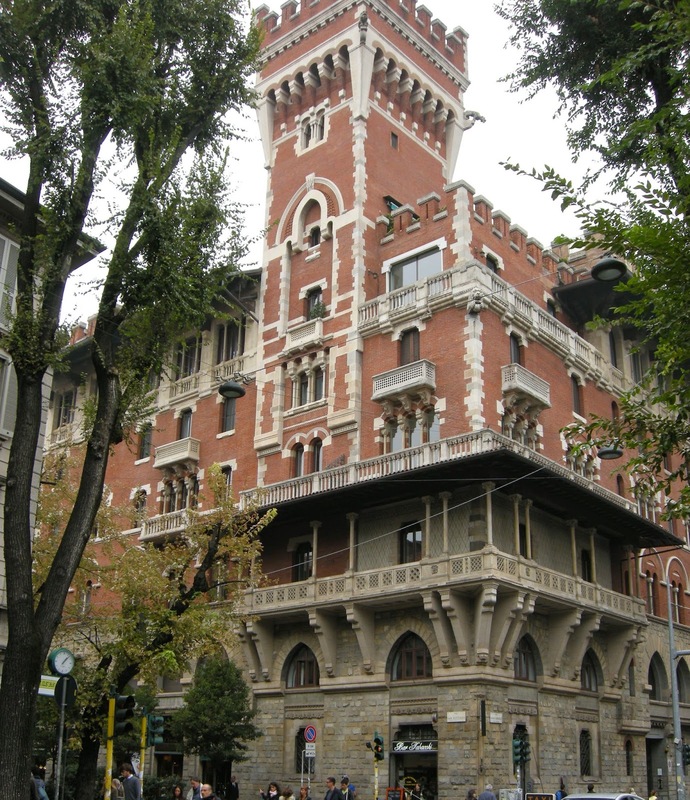 Our hotel was in the Lotto district of Milan, ten subway stops away. We purchased a 48 hour travel pass and were good to move around freely all weekend. For Friday evening though, we decided to stay in the vicinity of the hotel. We tried a Neapolitan place nearby for dinner; fittingly, we both enjoyed seafood and pasta dishes. 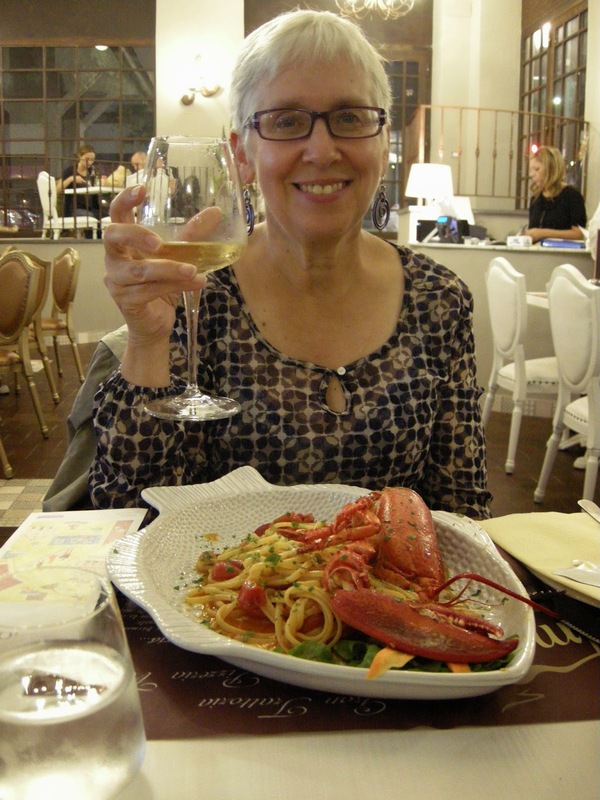 A toast to Milan - and my lobster-pasta dish. Saturday was a very busy day for us. We aimed to see as much as we could of this city, the second largest in Italy, in one day, and with the weatherman forecasting 100% chance of rain, we expected to be wet while touring. As it turned out, it rained very little - a light mist really - and for only about 45 minutes. How fortunate for us!! 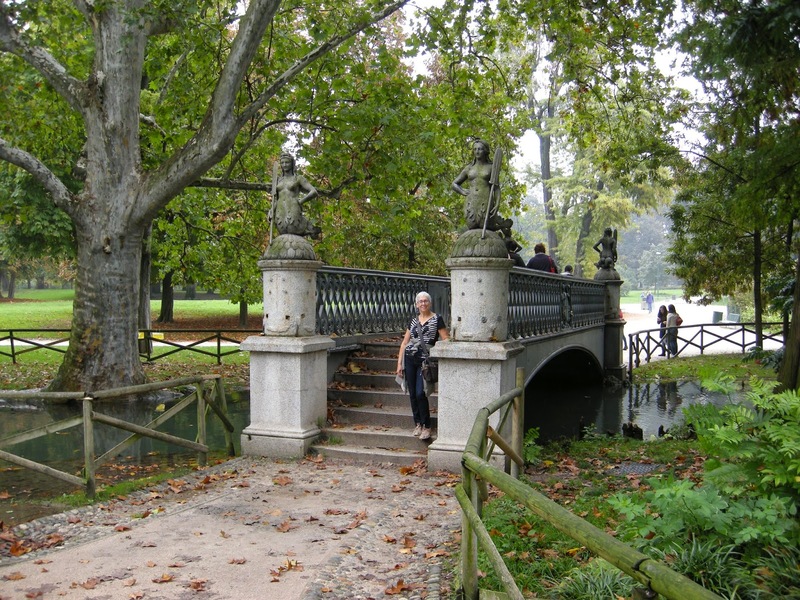 Our first stop was the Sempione Park. We entered it through the Arch of Peace, a monument meant to honour Napoleon which underwent a name change when he lost control of the region before the work was finished. 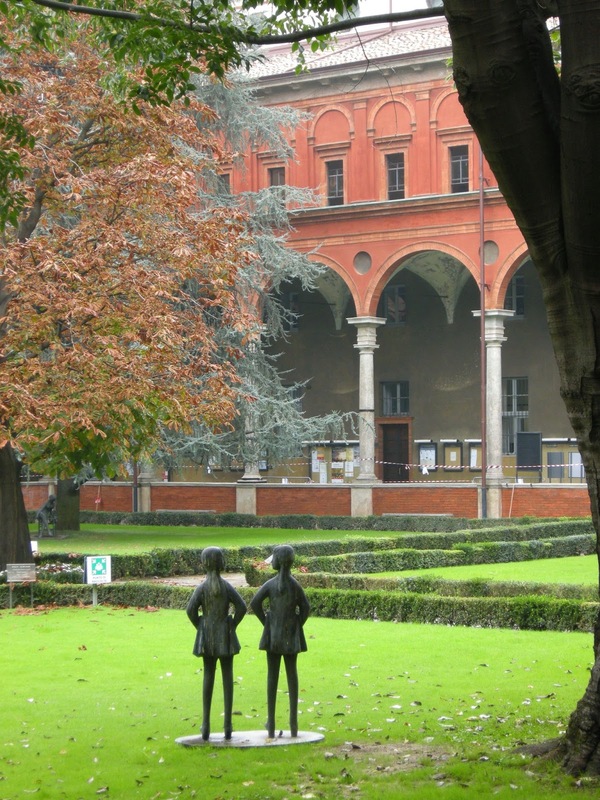 A path from there leads to Sforza Castle, and into the heart of the city. We took another route instead, choosing to widen our walk to other parts of the city. We saw a couple of churches, a modern looking castle, Roman columns, parts of a University campus, a mausoleum and other beautiful architecture. 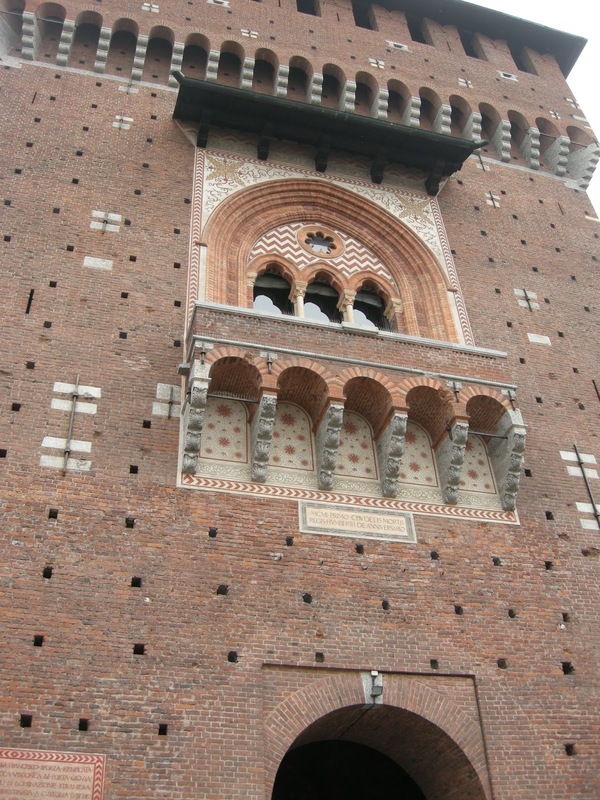 We learned that Milan had a very impressive history - and we had not even arrived at the centre of the city yet! Eventually we arrived in the heart of the city, and when at last, the famous Duomo came into view, we understood why so many flock to it. 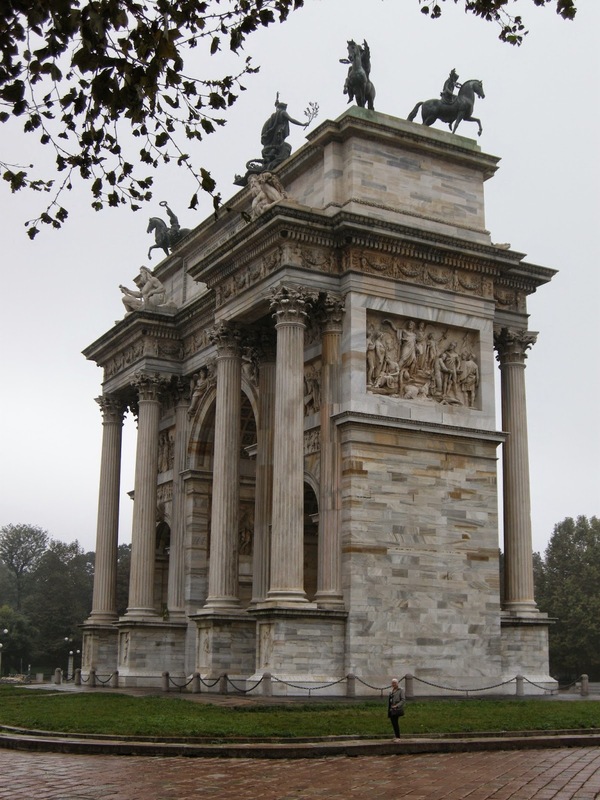 It is absolutely stunning, with a white marble exterior and graceful lines. The interior is impressive too! 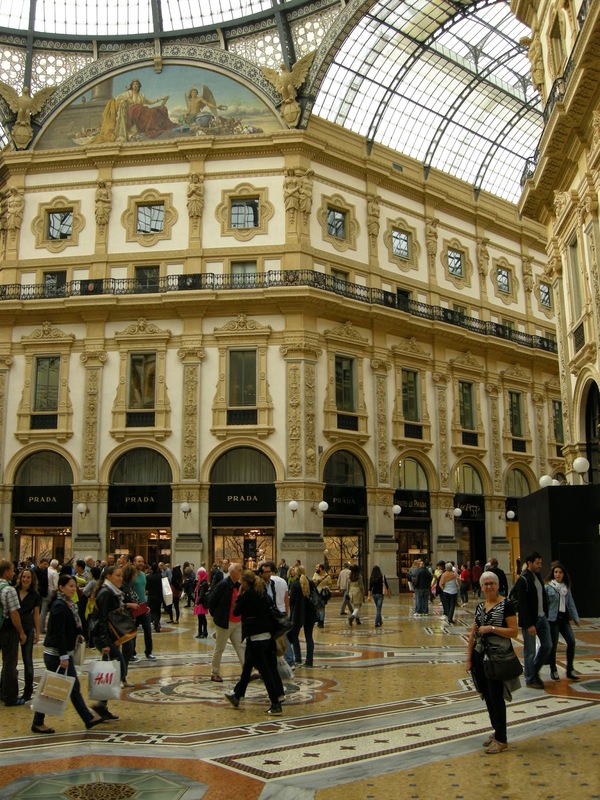 Close by, we entered the Galleria Vittorio Emanuele, one of the world's first shopping malls built in 1861. It is full of designer stores. There were Prada and Channel and others of that ilk to visit, but we just looked in the windows. After all, there was no way we could afford anything those folks were selling! 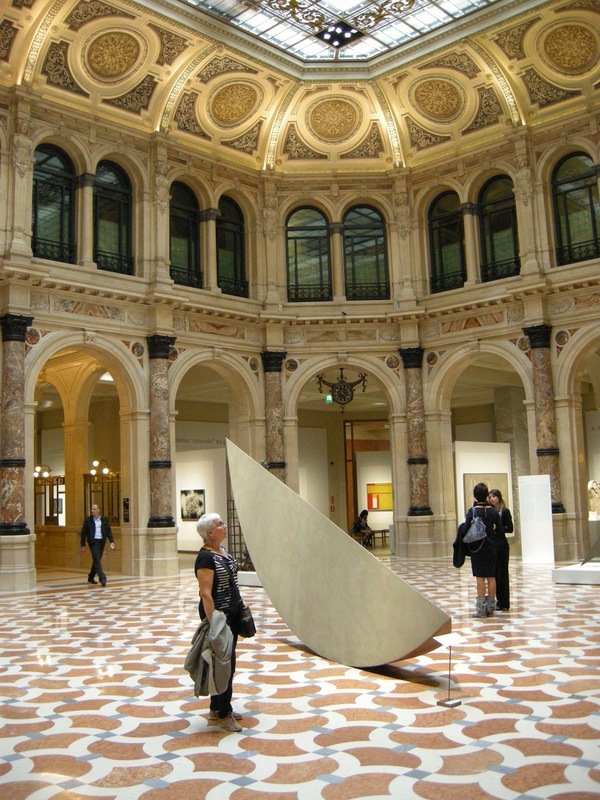 Near La Scala, the famous Opera house, was the Galleria d'Italia, an art gallery free to the public. We were expecting a small place, but we were completely wrong. This former bank building housed an extensive collection of works. We spent well over an hour enjoying the art there. After that, it was time to wend our way to the Metro and head home. More designer stores lined the streets, more churches opened their doors to us, but eventually, after some 25 000 steps, my tired legs were relieved to arrive back at our hotel for the evening. For dinner that night, we tried Sicilian food. 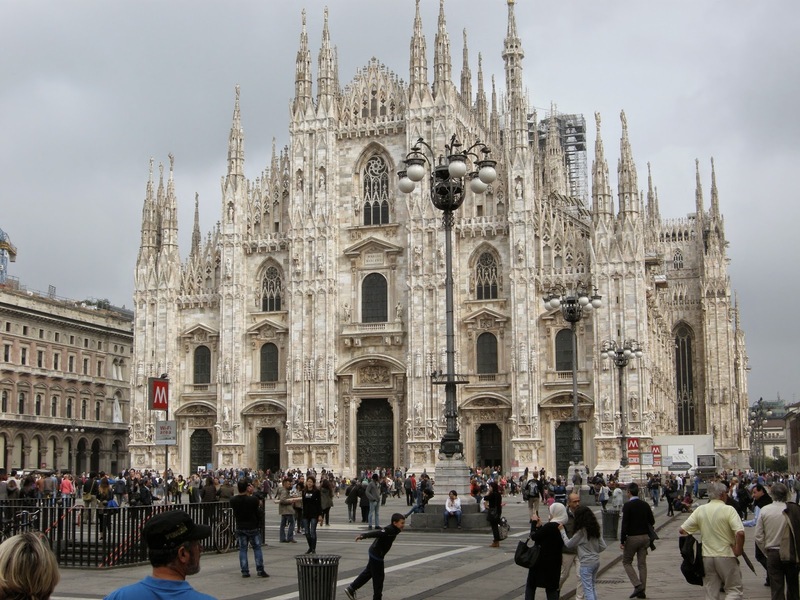 Although Milan is in Lombardy, we chose to sample cuisine from other regions of Italy. 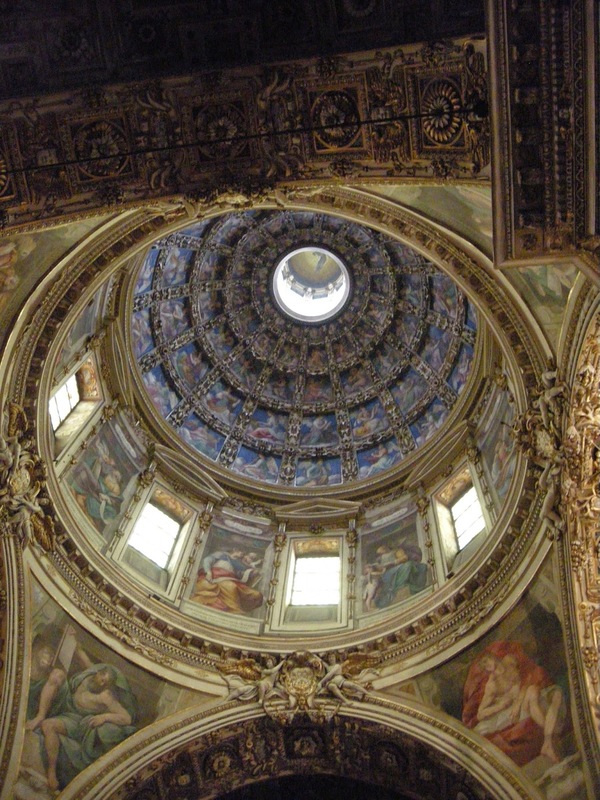 This served to whet our appetite to return to Italy when we could spend more time there. A weekend is just not enough. 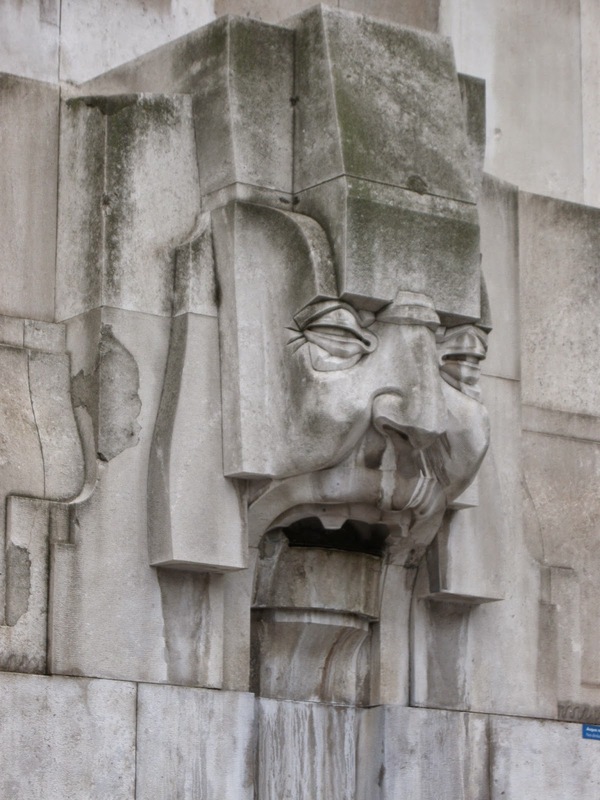 Interesting face on the wall of the train station. 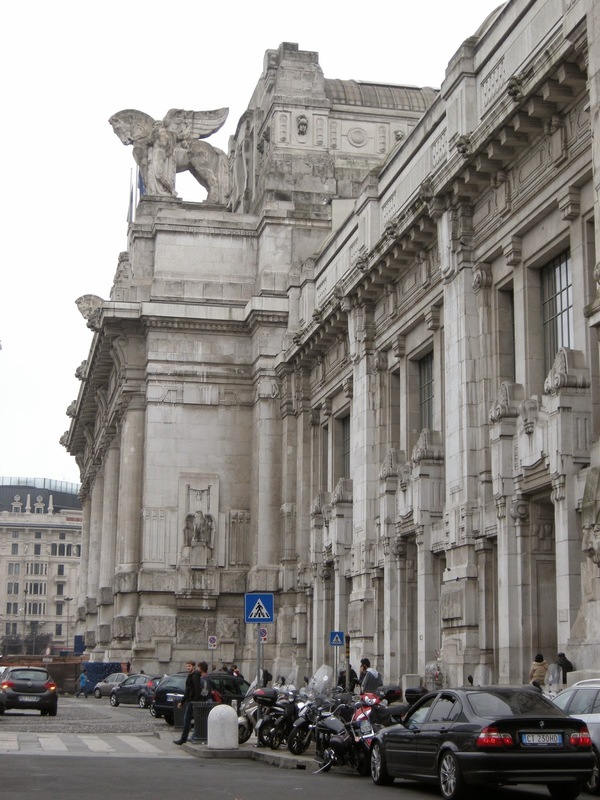 On Sunday morning, we made our way to the Milano Centrale Station once again. Our stay in Milan had come to an end, much too soon.